Kick off the summer the right way, help us open the Yacht Club! 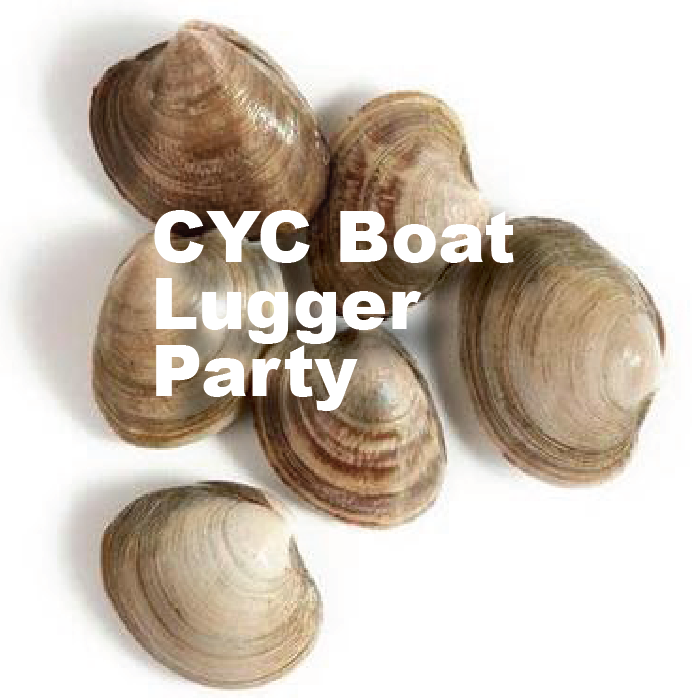 Get your “first taste” of island summer life, see old friends and make new friends with camaraderie, teamwork, and our very first CYC Boat Lugger Party. In order for us to know food and beverage quantities, please RSVP for the Opening Day weekend by June 1, 2019. Whether you’re a CYC member or a friend, we’d love to have you. All ages welcome. Help us open up the CYC yacht club for Summer 2019. BBQ with burgers and dogs. In order for us to know food and beverage quantities, please register for the Opening Day weekend by June 1, 2019. Be one of the first 5 adults (18 yrs old or over) or first 5 non-adults (18 yrs old or under) to RSVP and you’ll get this limited-edition shirt FREE! Please note: You must show up to Opening Day weekend to get your shirt. This t-shirt is only available to official boat luggers. Or if you aren’t fast enough on the keyboard - you can still buy this limited edition shirt if you RSVP and pay $34 (and of course show up for Opening Day weekend). Please note: you must RSVP and order the shirt by May 20th. 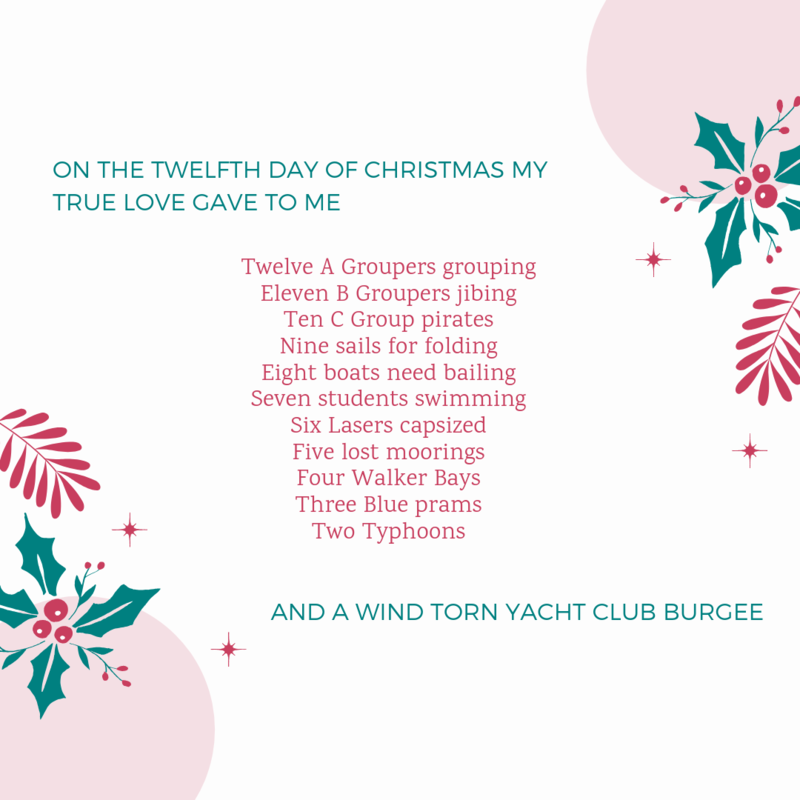 Happy Holidays from Cuttyhunk Yacht Club! The Holidays are a time to take stock of how we are doing as stewards of what we have inherited, and to prepare our path forward. Although we no longer send newsletters to your mailbox, please follow us onFacebook, Instagram, or Twitter year round to stay up to date on our latest news and announcements. We will once again operate an 8 week season in 2019. Mark these dates in your calendar. Additional events will be added to the calendar as the season approaches. Christmas List 2018: Naughty or Nice? We've made a Christmas Wish List of items the club needs for Summer 2019. If you're in the holiday spirit and wish to donate any of the below items, please use this Sign Up Genius link. Your capital campaign contributions are being put to work! This winter we will purchase new sails for our 420s, new rigging, and new laser hulls to replace some of our older lasers. We are also making much needed renovations to the clubhouse. We will have more news to share in months ahead. Until then, Best Wishes to all of our Members for a Safe, Happy, and Healthy New Year! Greetings to all the CYC family! Spring has been flirting with us here in Southern Maine, and it is making me think more and more about getting back to Cuttyhunk. And well enough, because it is time to start planning for the summer, and with it our next season at the CYC. With that, I would like to both look back at the end of last season and ahead to the next. I would like to acknowledge all the work that Jen Warr did on the Boutique last summer. For those who did not hear my accolades to her at the parties, she was thrust into the role by virtue of a miscommunication (an unusual form of volunteerism, to be sure! ), and she more than rose to the occasion. You may have noticed some new products for sale, in addition to the tried and true items; she has certainly poured her creativity into this. She also took it upon herself to take orders by phone and email, package them up and mail them out to people. She even began putting images of some of the products on line in what may be the beginning of an online CYC Boutique catalogue. At our recent Governors meeting, we decided to take the next step and look into establishing an online store, which would be available in the off-season, as well. We are putting together a team to implement this now. With this new venture comes the possibility of new product lines, and also the need for more people power. If anyone is interested in joining Jen in revolutionizing the boutique (ie: bringing it into the 21st century), we would greatly appreciate your help; please contact me (Chris Frothingham) at the email listed below. Thank you, Jen!! Peggy Lynch, who thought she had finally retired from her Rear Commodore duties, put in tremendous hours and effort to make our regatta schedule a huge success (see below)! She was also a consistent, on-island presence and point person, and was able to do a great deal of critical trouble shooting to make sure that all was running smoothly. Peggy was the recipient of the Commodore’s Cup this year, although that does not adequately express my gratitude to her for all her help! We are now thinking that this should really be a Rear Commodore Team. If you plan to be on island for some time and are willing to help with the planning and execution of the parties, awards and regattas, please contact me, and we will gladly sign you up. Thank you, Peggy! Thanks are also due to Duane and Lexi Lynch for all the ice for the bars at the parties – nothing like a cold cocktail on a nice Cuttyhunk night! They also very kindly allowed me to commandeer their truck and trailer for several hours on both opening and closing weekends to launch and haul the Mako, the Whaler, and Gusto. And a huge thanks to everyone who showed up for either (or both!) work weekends! This is one of the most critical times to volunteer; we have had a stalwart crew that has turned out year after year, and we added a few new names to the list this year, as well. Everyone worked very hard at both weekends. I would like to extend a particular thank you to Emily Andersen and De Frothingham, who did a thorough cleaning of the upstairs at the end of the season! Next year’s instructors will certainly appreciate it! We will be in need of many hands for our work weekends this season, as well. Dates are noted below, so put them on your calendar and plan for some work and some fun on an extra weekend on island! Finally, thank you to my wife, Heidi, who helped me keep on top of emails and issues as they arose. I simply would not have made it through the summer duties without her help. You are the best, Heidi! Thank you all for taking the time to cast your vote for the incoming Governors. Our newest group is: Anthony Couvillon, David Frothingham, Bob Hurley, and Liz Prevost. A hardy thank you in advance to these four for their upcoming service to the club! If you would like to have this honor, as well, please contact one of the officers or governors to express your interest for the following cycle. The 2017 season wrapped up very well. As many of you know, we moved the end date up by one week this summer, as we realized that we were going to have precious few of our sailors present for the scheduled party. The early date was very successful and well attended. The kids did a great job this summer; we should all be very proud of our sailors! Last summer, we had a more active and defined team of racers than in past years, and they were very successful! We hosted three regattas with Ida Lewis, Barnstable, and, for the first time in years, Saunderstown. I am proud to say, that our racers prevailed with victories over all three clubs!! And all three clubs relayed to us that their race weekend with us was the highlight of their summers, and all would like to come back and/or host us next summer! We also sent a crew of 6 sailors to the Beverly Junior Regatta, and they placed much better than in the past! Well done, racers and coaches! We hope to continue this enthusiasm next summer and strike a better balance with A-group so both are able to reach their full potential! This is where the Rear Commodore Team would make a huge difference to our sailors, so come help plan the fun and help our sailors grow! We are currently working on setting up our team of instructors for this summer. I have emails from several people already with a strong group of candidates. Please contact Chris Frothingham at commodore@cuttyhunkyachtclub.com if you are interested or know someone who might be, or to get more details. We are looking to hire a part-time “boatswain” to perform maintenance and repair to the CYC sailboats and support powerboats. This person will be responsible for working with the CYC staff to identify and prioritize needed maintenance and repair of the boats in the N10, Laser, and 420 fleets. Some experience with boat hardware and marine repair is necessary. Hourly rate based on experience. 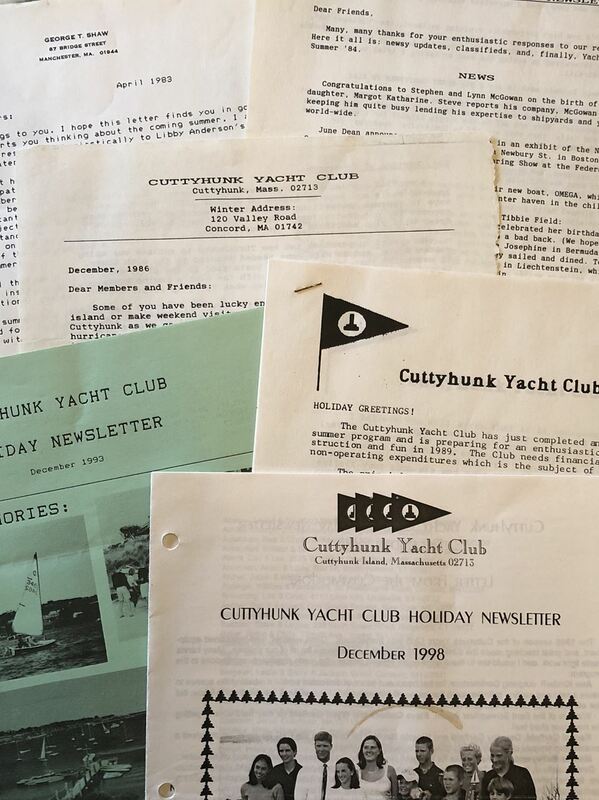 Renew membership and register kids for Classes - Please visit the CYC website -www.cuttyhunkyachtclub.org - to login and renew your membership and register kids for the summer sailing classes. YOU MUST BE RENEWED BY JUNE 1 TO BE INCLUDED IN THE 2018 DIRECTORY. Work weekend is June 15-17 2018! - Early June is a beautiful time on Cuttyhunk, and there will be much to do to get the next season off to a great start. The more people we have, the quicker it will be done and the more fun we will have doing it! Lunch will be served and it’s a great way to see old friends, meet new ones, and help out the CYC. And for those with the fortitude to stick it out to the end of the day get to partake of the beverage cooler (there will be cooler choices for all ages)! Please join the crew on Saturday, June 16 if you can! We need your help! On behalf of the Officers and the Board of Governors, we look forward to seeing you all this summer in class, at a race, or at a party – or all of the above! Happy April from the Cuttyhunk Yacht Club! With warmer weather arriving I hope you are all thinking about days out on the water in the wind and the waves. 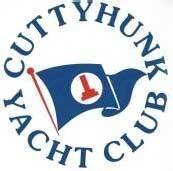 Renew membership and register kids for Classes - Please visit the CYC website -www.cuttyhunkyachtclub.org - to login and renew your membership and register kids for the summer sailing classes. YOU MUST BE RENEWED BY JUNE 1 TO BE INCLUDED IN THE 2016 DIRECTORY. Work weekend June 11-12 2016! - Please consider a June trip to the island (even for the day) to help open up the club. Lunch will be served and it’s a great way to see old friends, meet new ones, and help out the CYC. Many hands make light work! Please join the crew on Saturday June 11 if you can! We need you help! 60th Anniversary Capital Campaign - New dock! The 60th Anniversary Capital Campaign has been very successful. We have received pledges for over 80% of our $250,000 goal but we need your help to reach the mark. 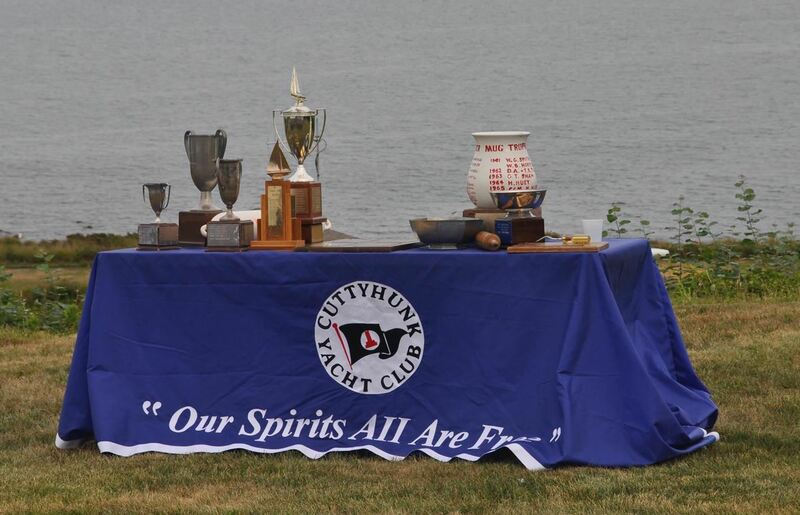 Celebrate 60 years of the Cuttyhunk Yacht Club with a contribution! As part of our planned improvements we replaced four of the lasers last summer and are rebuilding the dock this spring. Thank you to everybody who has contributed to this effort. Three cheers! 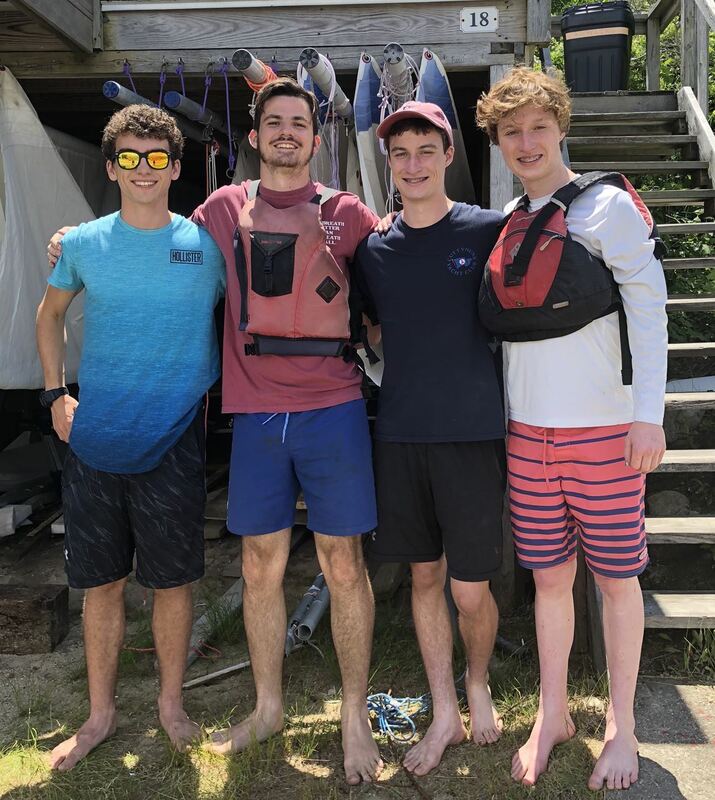 Instructors - We have a great team of instructors onboard for the 2016 summer – Maddie Lynch, Hannah Lynch, and Carter Walker will be leading the crew with Ben Frothingham there for part of the summer. We are still looking for a Third Instructor with experience as a junior to work some of the weeks. Please contact John Kidder at cyckidder@gmail.com if you are interested. Messing about in boats… - We are looking to hire a part-time “boatswain” to perform maintenance and repair to the CYC sailboats and support powerboats. This person will be responsible for working with the CYC staff to identify and prioritize needed maintenance and repair of the boats in the N10, Laser, and 420 fleets. Some experience with boat hardware and marine repair is necessary. Hourly rate based on experience. If you are interested in any of these announcements or have any questions please contact John Kidder at cyckidder@gmail.com. Work weekend June 13-14 2015! - We would like to press you into service for the good of the club! This is a great excuse to make a weekend or day trip to Cuttyhunk. Lunch will be served to all the scrubbers, sweepers, lifters, painters, etc. Along with commissioning the boats we have a lot of other projects that need attention. Many hands make light work! Please join the crew on Saturday June 13 if you can! CYC third instructor - We have a great team of instructors onboard for the 2015 summer – Maddie Lynch, Hannah Lynch, Sebastian Lucas, and Ben Frothingham. We are still looking to fill one of the CYC third instructor position. Third instructors typically have completed advanced sailing and some instructor experience, such as teaching sailing as a CYC junior instructor. We’re hoping to fill the position for nine weeks but we’ll also consider applicants who can work part of the season. Fleet maintenance technician - We are looking to hire a fleet maintenance technician (10-15 hours per week) to perform regular maintenance and repair to the CYC sailboats and support powerboats. This person is responsible for working with the CYC instructors to identify and prioritize needed maintenance and repair of the boats in the N10, Laser, and 420 fleets. Some experience with boat hardware and marine repair is necessary. Expected tasks include repairing or replacing rigging and hardware, hull repairs, etc. General facilities maintenance may also be included. Hourly rate based on experience. The CYC will be replacing four of the Lasers this year! To make room for these new boats we are offering up four of the used Lasers to be available for purchase for $500. The boats will be equipped with rigging, spars, and a sail but will be sold as-is. We need to make room for the new Lasers so these boats cannot be stored at the CYC and must be relocated once they are purchased. Any boats that do not find a new home will be shipped off island so please let us know if you’re interested.